Genetic editing technologies like CRISPR (basic intro video) are possibly the most powerful tech ever seen on this planet. They place control over the very functions of life in the hands of humans. DNA impacts every one of these, and can be made to enhance, hinder or prevent each of them in turn. Ergo, it can end life, or potentially create life where there was none. The Human Genome Project turned the mystery of DNA into a word document. CRISPR puts the insert and delete keys in the hands of anyone with $500.00 and a bit of know-how. If that’s not power – I don’t know what is. 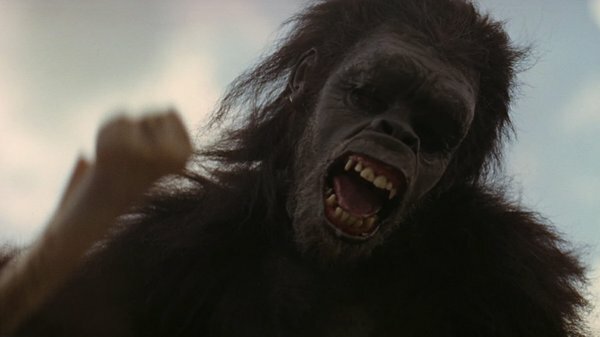 When Moonwatcher, Actor Dan Richter in Stanley Kubrick’s 2001: A Space Odyssey, first picks up a bone (the high-technology of his time) his first act was to use the tech to gather food. His second act was to murder for resources. One could wonder if things have not changed much since his day of tooth and claw. Recently someone asked me about the “Epicyte gene”, so looked into it a bit. There’s a ton of fear and strong opinions on this subject and GMOs in general. For myself, I can certainly see “why the concern”. We people want to know if the bone is being used to get us all some better food, or murder others for their resources. If the AGE project is successfully launched, we see a way issues like this can be dealt with in a much “cleaner” and less opinion-more-fact-based way. Bear in mind, what I’m about to propose isn’t something we intend to do, organize or oversee. It’s something we intend to suggest to our community of people who’ve been sequenced with us, and therefore control the funding and direction of the overall project. They are the real (planned) powers that be – and the people that can make this idea happen. 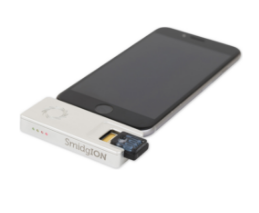 They’re called SmidgIONs and Designed for use with a smart phone in any location. In Africa (or anyplace else) a lightly video-trained person could smash up some corn, add some liquid and feed this pocket DNA sequencer the goods. In a short time we would KNOW if the Epicyte gene had been introduced to that corn or not. End of discussion, and no need to torture & execute a bunch of helpless rats. We might envision a “citizens watchdog arm” of the AGE Project spread around the world and able to monitor the global food and water supply for biological-nefariousness. We think so, but our project has a long way to go to get viable. Like most startups we’re lacking a few things, and lack of those things could end the project at any time. We need Public Awareness & Financial Support. If we’re able to get the awareness, the support will follow – so you can easily help make this real. The project is like the baby pictured – helpless on its’ own. We need 2 mouse clicks from you, and everyone you know. Click this link to our EOS-Hackathon competition video (that will get us known if we get to compete). Then Click the thumbs up button and give us a like.